I, the undersigned, having performed induced abortions earlier in my career, have examined the photos depicting the aborted human embryos and fetuses used by The Center For Bio-Ethical Reform in their public education projects (http://www.abortionNO.org). It is my professional opinion that the photos depict aborted human embryos and fetuses and that the depicted aborted human embryos and fetuses are accurately captioned as to age, in weeks since fertilization. Accusations of fraud against GAP are inevitable but they are also intellectually dishonest. This lie is usually told by pro-aborts who only pretend to doubt that the images are authentic. 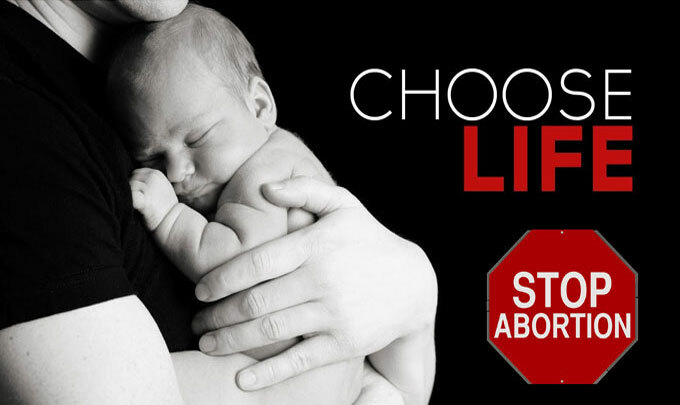 They are panic–stricken by the fear that “choice” will be unmasked as an act of violence which kills a baby. Fear can be a sign of intelligence and in this case they are smart to be afraid. These pictures are the abortion industry’s worst nightmare and things are about to get a whole lot worse. Impugning the accuracy of our pictures is the same sort of tactic used by neo-Nazis in response to condemnation of the Holocaust. Skinheads just say death-camp photos are fake. The Holocaust never happened. The Final Solution is a slanderous, anti-Arian fairytale. The pro-abort version of this pathetic propaganda is to say aborted baby pictures are “doctored” or even “computer generated.” The real embryo is just a “blob is tissue” they say. “Termination” is not an act of violence. “Choice” is the lesser of two evils. Not very creative but how else can genocide apologists rebut photographic evidence of their complicity in crimes against humanity? Their only hope is to change the subject and attack the integrity of their adversaries. Fortunately, both pro-lifers and Holocaust remembrance activists can readily authenticate their images. Some of CBR’s critics, for example, make the strange allegation that our photos are actually pictures of stillborn and miscarried fetuses. This gambit doesn’t even pass the snicker test. Obviously, neither stillbirth nor miscarriage will tear off a baby’s arms and legs, or rip off its head and face or scald its skin with chemical burns. The bodies of the babies in our pictures all display the unmistakable injuries of abortion. If pro-aborts are going to lie, surely they can do better than these feeble falsehoods. CBR’s physicians also rely on a highly regarded book called The Color Atlas of Clinical Embryology, 2nd Edition, Keith L. Moore, T.V.N. Persaud & Kohei Shiota (Copyright 2000 by W. B. Saunders Company) at page 49, Table 2–1, “Criteria for Estimating Developmental Stages in Human Embryos.” This reference contains age to crown/rump length relationships, etc. from 19-21 days post-conception through 56 days (the end of the embryonic period). At page 52, Table 3-1, you will find criteria for establishing age through the fetal period, including age-crown/rump length relationships from 9 weeks through 38. We don’t ask anyone to take our word for anything. Doubters can dial-up our Website and hold these textbook illustrations next to the corresponding photos on our GAP signs. When measuring our images, bear in mind that many of the first trimester aborted babies we show have been torn apart by the termination procedure. The shredded pieces of their bodies have only been loosely reassembled for photographic purposes. Abortion stretches, tears and otherwise distorts the soft tissue of these very small unborn babies. Of course, no amount of evidence will satisfy dogmatic pro-aborts. They wouldn’t acknowledge the legitimacy of any abortion photos, even if they took the pictures themselves — of abortions performed in their very presence. But for sincere questioners, those who inquire in good faith, the foregoing sources will quiet every reasonable concern. We are sometimes asked how and from what sources we have compiled our huge library (perhaps the largest in the world) of aborted baby photos and video. Understandably, the terms of our acquisition agreements prohibit the disclosure of that information. If we must divulge this information pursuant to the lawsuits we are preparing, we will do so “in camera,” which means in a judge’s chambers, off the record, so the information will be sealed and never made public. It doesn’t take much analytical ability to guess why. We are prepared, however, to say that we reject civil disobedience on tactical grounds (and violence on moral grounds) so we use only lawful means to acquire imagery. Jan Karski never stormed a beach or flew an Allied airplane but he was one of World War II’s great heroes. Disguised as a Nazi guard, the Polish courier [a member of the Jewish underground] sneaked into the Izbica death camp, then made a perilous journey to London to tell of the mass tortures and killing he had seen. He died last week at 86. Newsweek, July 24, 2000, reported that Mr. Karski delivered to the Allies the “first eyewitness accounts” of the Holocaust but that his tale of horror was so sickening “Few could believe what he reported.” Before CBR began using photos, we had the same problem convincing people that abortion is indescribably horrific. The Post-Dispatch and the Washington Evening Star [newspapers] hurriedly assembled an exhibit of camp-atrocity photos entitled ‘Lest We Forget.’ Before moving to Boston and cities in the Midwest, the 12-foot-high photo-murals debuted at the Library of Congress. During the exhibit’s three steamy summer weeks in Washington, almost 90,000 Americans turned out to gape. This death-camp display sounds much like CBR’s Genocide Awareness Project. It is unlikely, however, that a Holocaust photo essay would have drawn many spectators had the exhibit toured post-war Germany. Germans of a certain age still recoil from the sight of extermination photos. Americans with certain backgrounds are particularly averse to seeing abortion pictures. That may also be why citizens of both countries sometimes cry “fake” in the face of photos which expose their guilt and shame. In conclusion, we need your help in documenting examples of pro-abortion lies concerning CBR “photo fraud.” As you become aware of statements designed to discredit our organization, carefully note them and please pass the information on to us. When the time is right, we will make an example of those who attack the integrity of pro-lifers they know they can’t beat in honest debate.